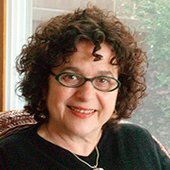 It is with great sadness that the Women’s Caucus for Political Science must announce the death of Joanna Vecchiarelli Scott, past WCPS president and American Political Science Association Vice president, who died on Sunday, November 1st, 2015. Joanna was a prolific scholar and teacher whose many accomplishments include serving on both of the APSA nominating committees that finally broke the glass ceiling in the APSA, giving us both Theda Skocpol and Susanne Hoeber Rudolph as presidents. Joanna always considered herself a ‘Jersey Girl’ and the article she wrote for the APSA Mentoring column described herself as that, despite the fact that she was born in Fort Smith, Arkansas and spent more of her adult life in Southern California and Michigan. After WWII Joanna’s parents moved from Arkansas to NYC and lived there for four years before they, like so many other New Yorkers, crossed the George Washington Bridge to New Jersey, settling in River Edge in 1949. Thus Joanna found her home and her ‘Jersey attitude:’ tough, questioning, probing intellectually, and fearless in speaking truth to power. It was in New Jersey that Joanna met her future husband, Doug Scott, in the local high school in 1959. Even before writing became her life’s work, it was writing that brought Doug to her. As one of their high school’s newspaper editors, Joanna regularly wrote columns which spoke of more than the usual fare for high school papers. This led to a major collision with the high school principal. Joanna attended — and then published an extensive essay on –the 1959-60 Soviet Exhibit and the famous ‘Kitchen Debate’ between Vice President Richard Nixon and Premier Nikita Khrushchev at the New York Coliseum. Some parents complained that Joanna’s coverage was ‘unpatriotic.’ But if Joanna’s feistiness, her ability to speak truth to power even at age 16, got her into hot water with the authorities, her fearlessness attracted followers, then as now, and led to Doug’s asking her out on their first date. They were married in 1965 and recently celebrated their 50th wedding anniversary in 2015. Joanna graduated from Barnard College New York with a BA in Political Science. This was followed by an MA in Political Science from Columbia University and a PhD from the University of Strathclyde, Glasgow, Scotland. Joanna began her career as professor of Political Science at California State University, Long Beach and then moved to Eastern Michigan University, where she served as Department Head. At both universities she was a strong supporter of the academic unions and organized labor more broadly. Joanna’s research focused on Hannah Arendt, a German émigré and political theorist. Joanna was fascinated by this Jewish scholar/public intellectual who began her academic journey writing her doctoral dissertation on St. Augustine and capped it off by reporting on the trial of Adolph Eichmann. Joanna and Judith Chelius Star published a completely corrected and revised English translation of Arendt’s dissertation (Love and Saint Augustine, University of Chicago Press, 1998), making this important early work by Arendt fully accessible for the American audience for the first time. In this volume, we see how Hannah Arendt began her scholarly career with an exploration of Saint Augustine’s concept of caritas, or neighborly love, written under the direction of Karl Jaspers and the influence of Martin Heidegger. After her German academic life came to a halt in 1933, Arendt carried her dissertation into exile in France, and years later took the same battered and stained copy to New York. During the late 1950s and early 1960s, as she was completing or reworking her most influential studies of political life, Arendt was simultaneously annotating and revising her dissertation on Augustine, amplifying its argument with terms and concepts she was using in her political works of the same period. As Scott and Star made clear, the dissertation became a bridge over which Arendt traveled back and forth between 1929 Heidelberg and 1960s New York, carrying with her Augustine’s question about the possibility of social life in an age of rapid political and moral change. Their work on Arendt includes both Arendt’s own substantial revisions and provides additional notes based on letters, contracts, and other documents as well as the recollections of Arendt’s friends and colleagues during her later years. It is capped with a long introductory analysis of how this work was formative in Arendt’s reporting, writing and thinking about events such as the Holocaust in the 20th century. Their work is recognized as critical in establishing Arendt’s place in American scholarship. Throughout her career, Joanna continued her love of Arendt, writing journal articles and essays on Arendt, focusing on her identity not just as a Jewish émigré but also as a modernist, a journalist and ultimately an American. Joanna was devoted to her family. Friends who met her regularly at the APSA were always struck by her ability to have composed a life that included career, a great marriage, and wonderful ties to her mother – who died only a few years before Joanna – and with her beloved children: Adam (an artist at the Chicago Art Institute) and Aemilia (writer/actor). The family is requesting that in lieu of flowers, contributions be sent to any medical center that treats myeloma research or cancer research more generally. We shall miss Joanna, her fiery spirit, her inspired leadership, and her devotion to good causes. See online obituary and other information here. Throwback Thursdays: #APSA2014 RBSI Breakfast – Washington, D.C.